A charming four bedroom Grade II Listed detached property with an abundance of charm and historical features. Set on a plot of approximately half an acre the accommodation presents a large panelled entrance hall, spacious lounge with attractive beams and an Inglenook fireplace, dining room, wet room, conservatory of Canadian Cedar, large kitchen, to the first floor are four bedrooms plus two further bathrooms. There is a timber barn, double garage, cart lodge, storage area and shed. There is ample off-street parking to the front of the property which is set in a semi-rural location yet within proximity of Goffs Oak village with its variety of shops and amenities. 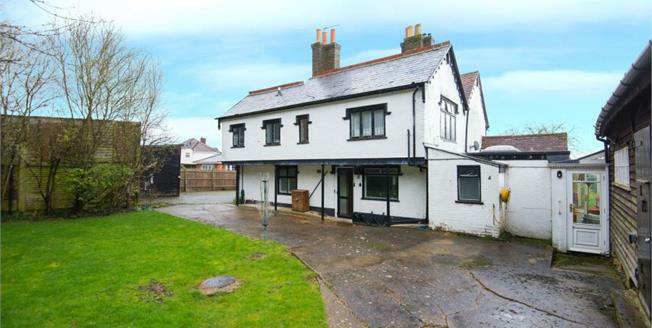 The property does require some modernisation but would create a wonderful family home.